In 1960, renowned astronomer Frank Drake spent 150 hours holed up in the Green Bank Observatory, using a giant radio telescope to look for aliens. 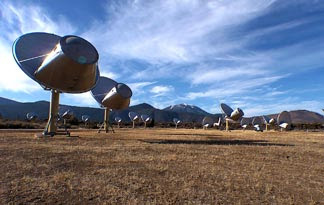 The experiment, known as Project Ozma, focused on two nearby stars—Tau Ceti and Epsilon Eridani—which Drake had selected for observation. But at the end of the project, he had little to show for his efforts: He hadn't found any signs of intelligent life. Though he didn't know it at the time, Drake's experiment had paved the way for the modern search for extraterrestrial intelligence, or SETI, in shorthand. Drake's pioneering use of radio waves would change the way scientists scanned the cosmos for signs of life, meaning his expensive and embarrassing failure had actually revolutionized the search for aliens, and would inspire SETI programs at institutions like Harvard, NASA's Jet Propulsion Laboratory, and the SETI Institute in Mountain View, California.